Editors Note: There are 5 photos and 1 video associated with this Press Release. Australian professional golfer Marcus Fraser, winner of the 2010 Ballantine's Championship, has collaborated with Ballantine's Master Blender Sandy Hyslop to create the 2011 Championship Blend. An exceptionally limited edition blend, the Scotch contains precious whiskies aged for at least 38 years and is so rare only 10 bottles are being produced. The creation of the 2011 Ballantine's Championship Blend continues a unique tradition at the tournament as well as Ballantine's heritage in golf, which was established back in 1960. As reigning Ballantine's Championship winner, Fraser will receive one of the 10 bottles created. One bottle will also be reserved for the 2011 champion and another will be auctioned for charitable causes during the 2011 tournament, which will unfold at Seoul's prestigious Blackstone Golf Club Icheon next April. 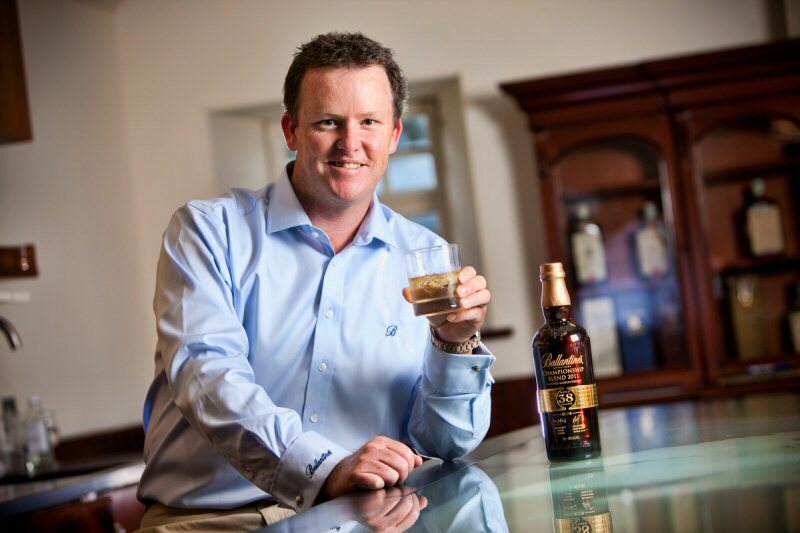 Fraser is only the second person outside Ballantine's expert blending team to influence a Ballantine's blend, with Northern Irish golfer and Major winner Graeme McDowell granted the same privilege as winner of the inaugural Ballantine's Championship in 2008. "It is very impressive seeing Ballantine's Master Blender Sandy Hyslop in his element," adds Fraser, "with his enthusiasm, experience and knowledge of all the different flavours and how they can be used together to come up with a final product." 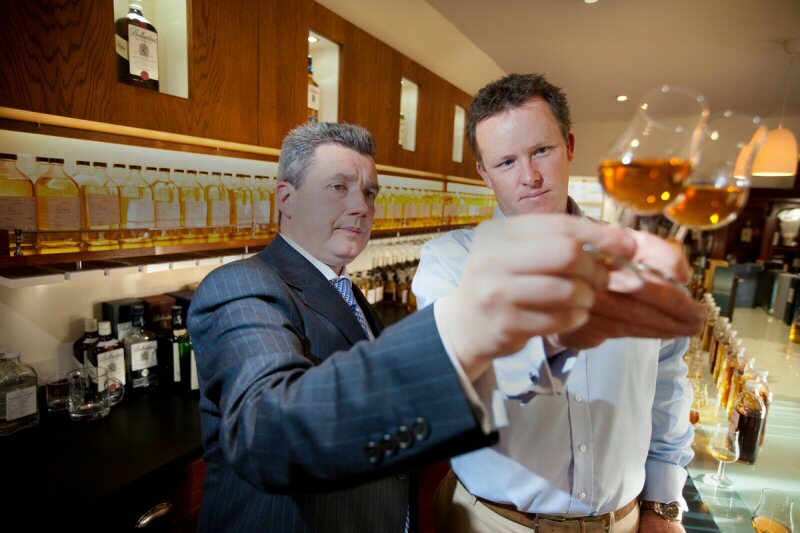 Master Blender Hyslop personally guided Fraser through the delicate blending process, and he is delighted with the product of Ballantine's unique collaboration: "The 2011 Ballantine's Championship Blend is completely bespoke and it is absolutely first class," he says. "Marcus tasted different whiskies from the Ballantine's family of flavours and the blend is extremely fruity, with lots of soft fruit flavours, allied with some lovely, creamy background flavours, and when you taste it the whisky's finish just seems to last forever. Marcus obviously has a bit of a sweet tooth, as some of the flavours he has chosen have given the Championship Blend a beautifully sweet top dressing. "On no account could a whisky of this quality be produced on a commercial scale," adds Hyslop, "because the whiskies we have blended are so precious and rare." "I have found I am partial towards the fruitier whisky flavours, and I think we have created a Championship Blend with a bold taste," says Fraser, 32, who made the special trip to Ballantine's Glenburgie distillery in Speyside, Scottish Highlands, in October. "It is a rare opportunity to be part of the 2011 Ballantine's Championship Blend and it is an experience I will never forget." Peter Moore, Ballantine's Global Brand Director, is delighted that such a distinct tradition has been established: "We are excited that the Ballantine's Championship will once again be celebrated by its very own exclusive whisky. Marcus won the 2010 Ballantine's Championship with real style, and he has extended his sense of style to whisky blending too. We wish Marcus every success when he returns to South Korea in April to defend his Ballantine's Championship title." The Ballantine's Championship was inaugurated in 2008, and as an event co-sanctioned by the European and Asian Tours, it represented the European Tour's first ever foray into South Korea. Now established for three years, The Ballantine's Championship is Asia's fourth biggest golf tournament and the largest annual golf event in South Korea. The new setting in 2011 at the prestigious Blackstone Golf Course is set to take the event to a new level. Fraser and McDowell are joined by Thailand's Thongchai Jaidee as past winners, with previous tournaments also attracting world No 1 Lee Westwood, South Africa's Ernie Els, Americans Fred Couples and Anthony Kim as well as home favourites KJ Choi and Y.E. Yang. Melbourne's Fraser competed for the Australian national side as an amateur, before turning professional in 2002. He confirmed his place on the European Tour with his maiden triumph at the 2003 BMW Russian Open. Fraser ended a seven-year drought with his win at the 2010 Ballantine's Championship, a reward for admiral perseverance and some moments of real flair on the golf course. Ballantine's is the No 1 ultra-premium whisky in Asia Pacific and the No 1 Scotch whisky in Europe, selling over 70 million bottles a year worldwide. Ballantine's has won over 80 trophies and medals at international competitions in the past 10 years for quality as a result of its unique richness of character and perfect balance. The range, from Ballantine's Finest to the iconic 30 Year Old, is the most extensive in the world of Scotch and is maintained by the latest in a tradition of Master Blenders that dates back to 1827. Chivas Brothers is the Scotch whisky and premium gin business of Pernod Ricard – the world's co-leader in wine and spirits. Chivas Brothers is the global leader in luxury Scotch whisky and premium gin. Its portfolio includes Chivas Regal, Ballantine's, Beefeater Gin, The Glenlivet, Royal Salute, Aberlour, Plymouth Gin, Longmorn, Scapa, 100 Pipers, Clan Campbell, Something Special and Passport. Ballantine's Championship 2010 winner, Marcus Fraser and Ballantine's Master Blender view samples for the 2011 Ballantine's Championship Blend. 2010 Ballantine's Championship winner, Marcus Fraser poses with the 2011 Ballantine's Championship Blend. 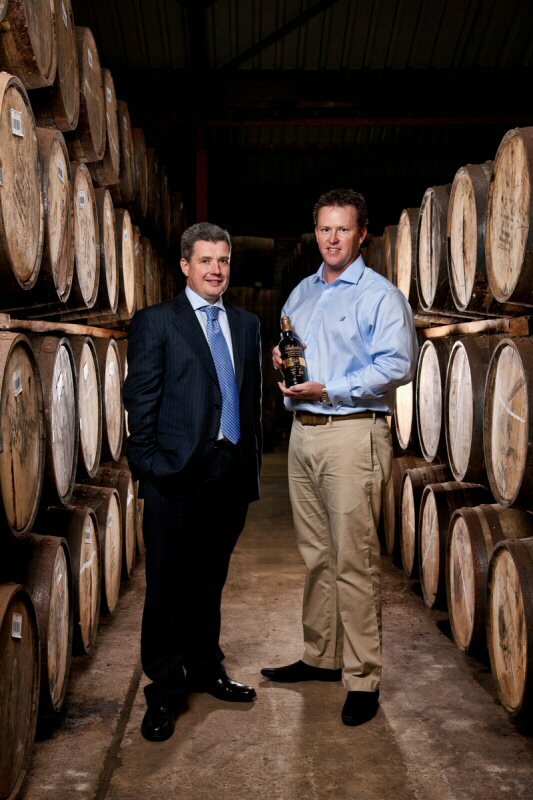 2010 Ballantine's Championship winner, Marcus Fraser and Ballantine's Master Blender, Sandy Hyslop pose with the 2011 Ballantine's Championship blend in Ballantine's maturation warehouse. 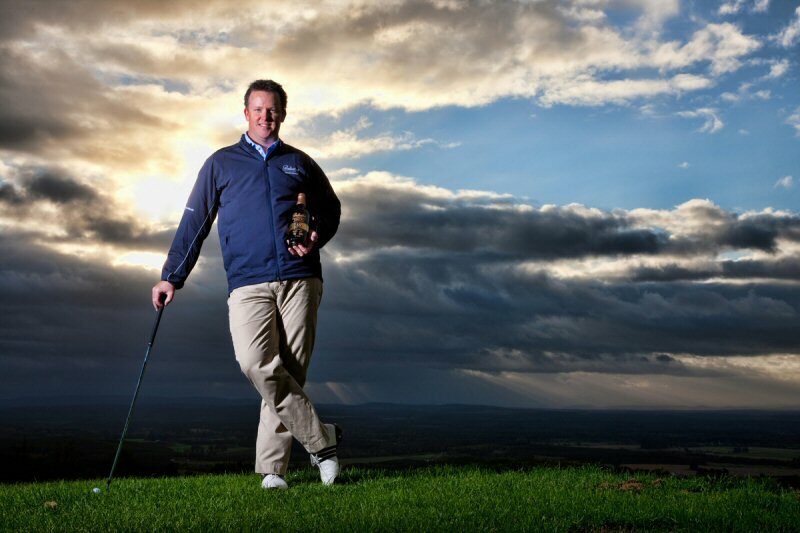 2010 Ballantine's Championship winner, Marcus Fraser poses in the Scottish countryside with the 2011 Ballantine's Championship Blend. 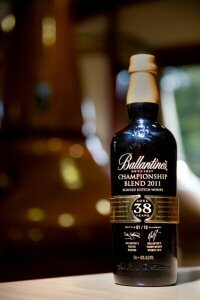 2011 Ballantine's Championship Blend bottle number one.